Decorated Model Home Open 7 Days A Week! Chesapeake Pointe is located on the beautiful north side of Lake Norman in Charlotte, North Carolina. View our community here now! 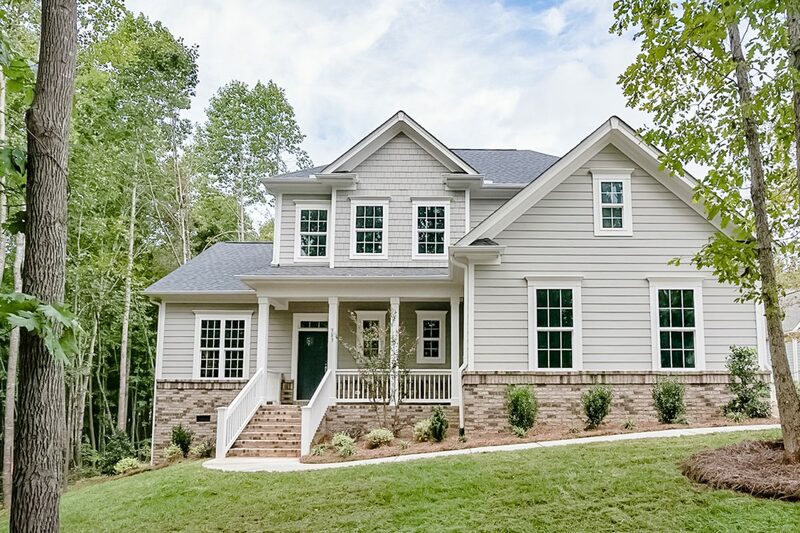 With majestic home designs set on oversized wooded homesites including some with picturesque Lake Norman views, Chesapeake Pointe promises to be the ideal family community. 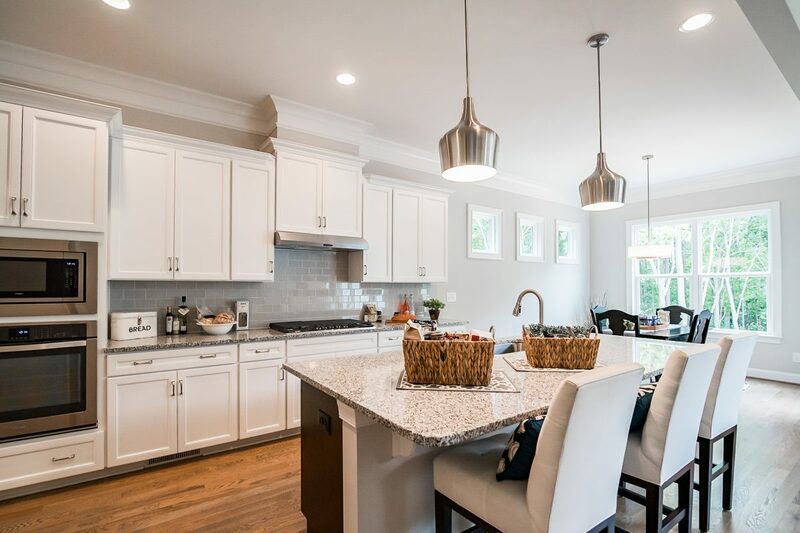 A host of amenities include a neighborhood clubhouse with outdoor swimming pool and kids’ playground, providing a central gathering place for families and children of all ages. 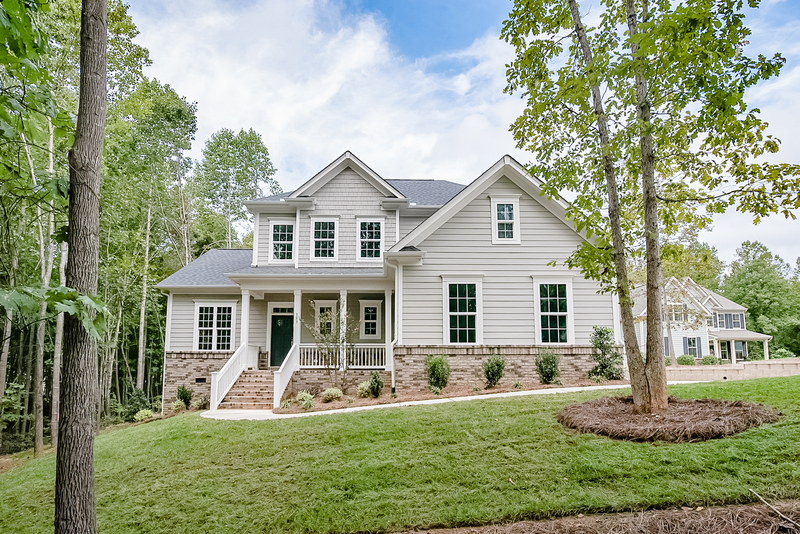 The community enjoys an ideal location just off of I-77 and Brawley School Road, providing you with easy access to a Lake Norman lifestyle as active as you can imagine, or as peaceful as you can dream. With several public boat launches nearby, boating, fishing, sailing, kayaking and water skiing are just a few of the water sports you can enjoy on Lake Norman – the largest manmade lake in the state with 520 miles of shoreline. Landlubbers certainly won’t feel left out with the picturesque hiking trails, campgrounds, beaches and picnic areas found in the scenic Lake Norman State Park, which itself contains 13 miles of the lake’s shoreline in addition to its own 33-acre lake. Full-service shopping centers are also located nearby, including Winslow Bay Commons on Hwy. 150 in Mooresville; Birkdale Village off of Hwy. 73 in Huntersville; Northlake Mall just off of I-77 in North Charlotte; and Concord Mills just off of I-85 in North Charlotte. These centers provide a variety of shopping and dining options, and combined with the entertainment venues, cultural opportunities and professional sporting events of Charlotte, provide an endless array of activities for the entire family. Children of Chesapeake Pointe will attend the award-winning schools of the Iredell-Statesville school system. $5,000 FLEX CASH allowance on final new home! 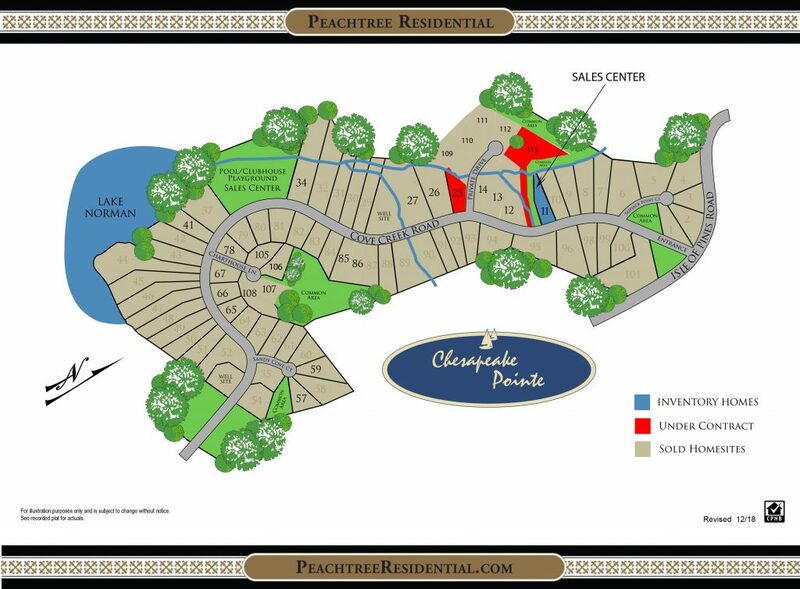 Peachtree Residential is offering $3,000 towards closing costs if you choose to use one of Peachtree Residential preferred lenders for your financing.